Welcome to Hotel Rangmahal, Jaisalmer - a place hotel in Jaisalmer Rajasthan where traditional hospitality of India can be experienced at its very best. 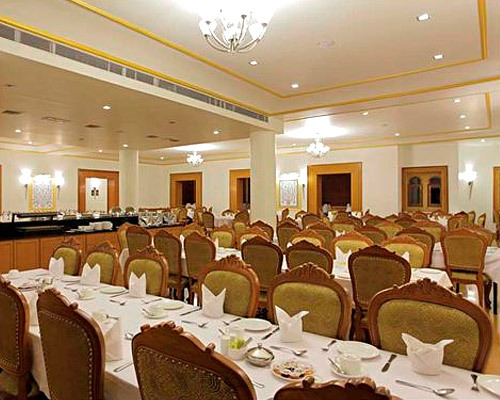 This hotel in Jaisalmer enjoys a distinct reputation of being one of the few hotels that have retained the art of serving its guests while keeping in tune with the latest in hospitality industry. Breakfast Services, Parking, Room Service, Airport Transportation, Doctor on Call, Security Guard, Backup Generator, Laundry Facilities, Travel Counter, Currency Exchange. Toothbrush/Razor on , Iron/Ironing Board, DVD Player, , Cable/Satellite TV, House Keeping, Attached Bathroom, Air Conditioning Room, H/C Water. User reviews for "Rang Mahal Hotel Jaisalmer"